An after builders clean can be essential, everybody anxiously awaits builders finishing of their job. But it can so often be an anti-climax, because many people do not prepare for the dreaded task that comes afterwards- the after builders clean. It can take time, planning and hard work to clear up after any kind of builders or construction work at your house. 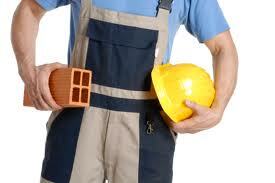 There are many tips that can be given for cleaning after builders. You’ll most likely have excessive dust, dirt, plaster and paint everywhere. You may seek professional help. Here are some tips for tackling the builder’s clean on your own. 1- Firstly, get your trusty broom out and sweep up the easily accessible bits of filth the builders may have left. 2- You can use sugar soap to clean down your walls in preparation for painting. 4- You may need to give it another quick clean over when you are done, so attack with positivity and a lot of energy. So often, people ruin their own household tools, so the biggest tip as mentioned above, would be to equip yourself with the correct tools to carry out the job. Hiring an industrial vacuum could be very important, as the dirt will ruin your own. If you cannot afford to hire then buy a cheaper vacuum in the knowledge that it will most likely be unusable by the end. As you near completion, you will no doubt be excited, so it’s key to not cut any corners and carry out the after clean correctly. It will all be worth it in the end and the builders taking over your house for as long as they did will all be worth it in the end. Bathrooms and toilets will need a thorough clean from top to bottom, your vacuum will be working overtime in the living room and kitchen and no doubt you will have paint or marks on the skirting board that will need cleaning. Good luck and enjoy your refurbished house after an inexpensive clean up.